To me persimmons are one of the most visible symbols of Autumn. 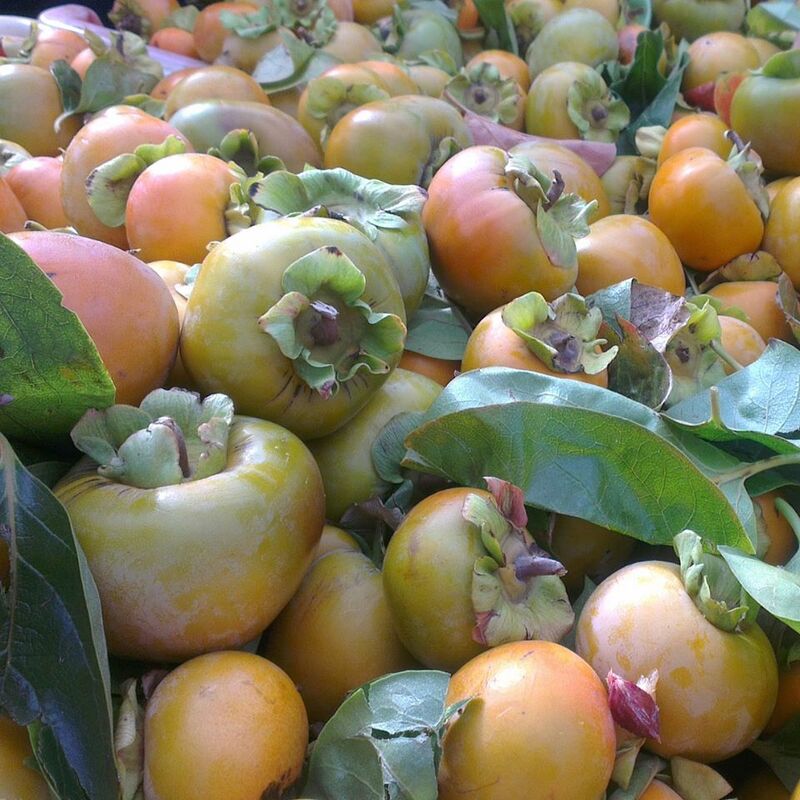 I have recently been gifted a bag of persimmons (for which I was extremely grateful), and have picked up several from local growers at the Rotary Club of Belconnen run Trash n Treasure markets. But everytime I tell my friends about my persimmon haul they ask me “but how do you eat persimmons”? Simply, actually. You slice and peel them and eat them as is. I personally like eating them when they are firm; not as firm as an apple but not as soft or crunchy either. They are lovely consumed this way with a cup of green tea – all very zen. But a good friend advised me to wait until they are really soft and squishy as they are much sweeter this way. How you choose to enjoy them is a really a matter of personal preference. 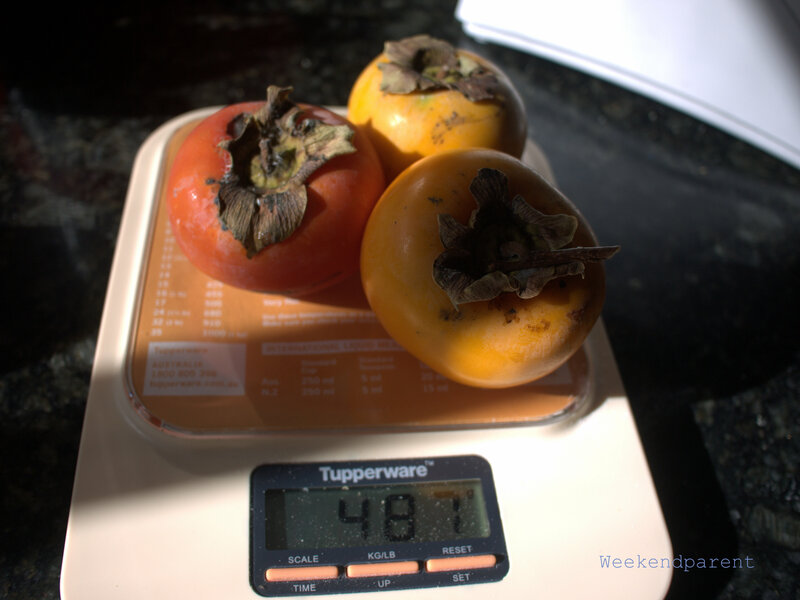 I feel in love with persimmons when I lived in Taiwan. A friend worked at a hot spring resort in Kukuan, in the central mountain range. The local growers grew fat persimmons that they decorated with red calligraphy stickers. Each year she would send us a gift box or two, usually to mark the Mid-Autumn Moon Festival. I loved getting these surprises – they were truly beautiful and almost a shame to eat. 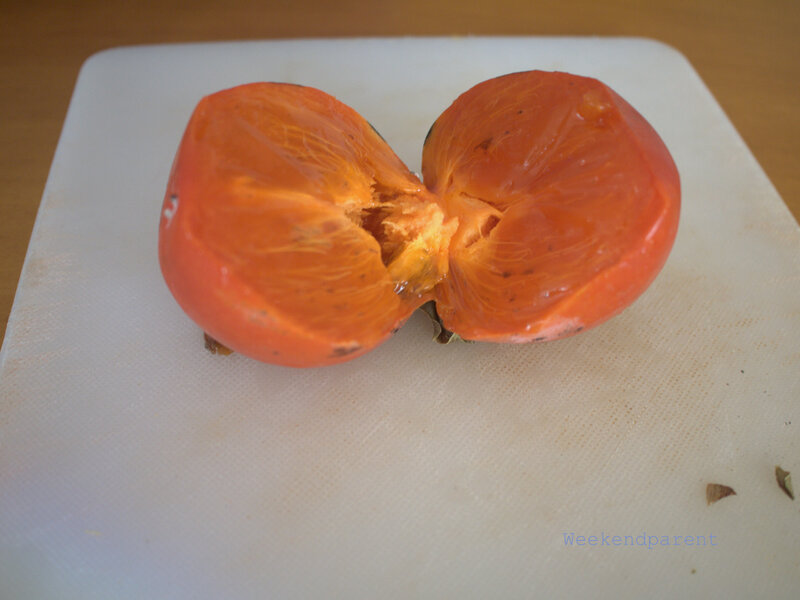 Most of my Taiwanese friends eat persimmons as a fruit, and they rarely cook it. But they can be cooked and integrated into Western cuisines. To prove this point, yesterday I made jam. 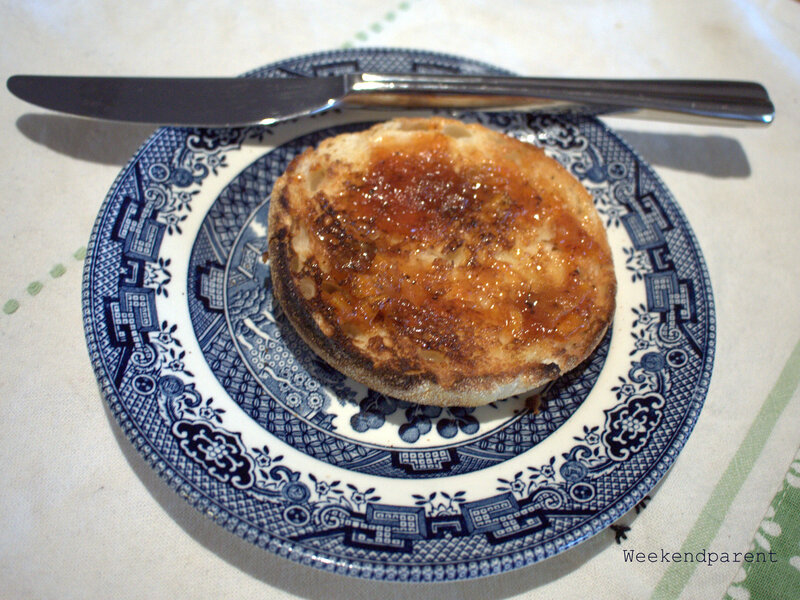 The flavour is intense yet slightly exotic; it goes nicely on an English muffin with butter, but you could also include it on a cheese board. I made a small quantity because that way I could make it easily in my breadmaker. You can double or triple the quantity and make in a saucepan over the stove. 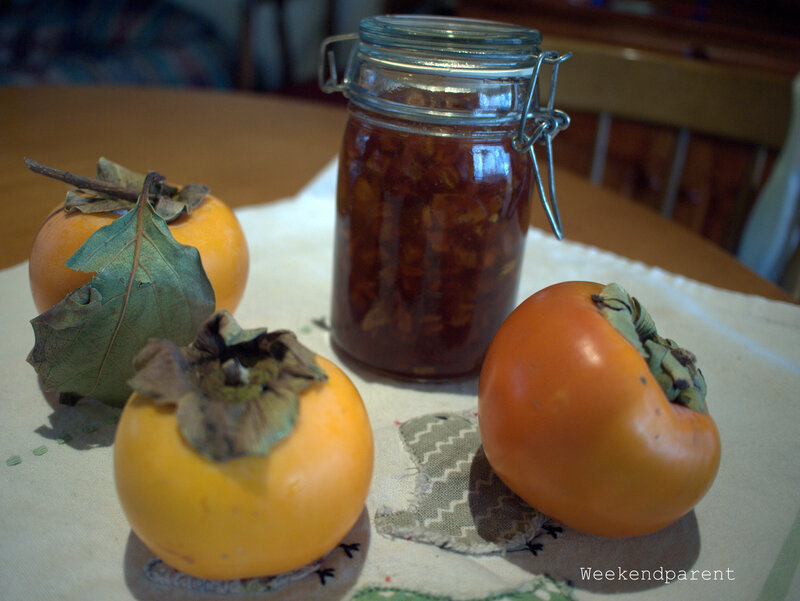 If the persimmons are really ripe, cut in half and scoop out the flesh. It will look fleshy and pink, kind of like a mango. If less ripe, peel and then cut into pieces. 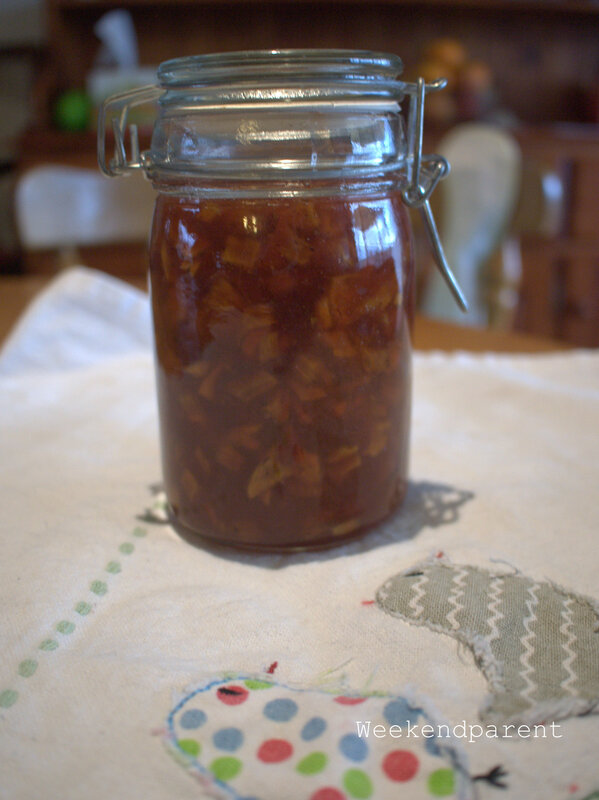 My jam was a mixture of one ripe and two less ripe. 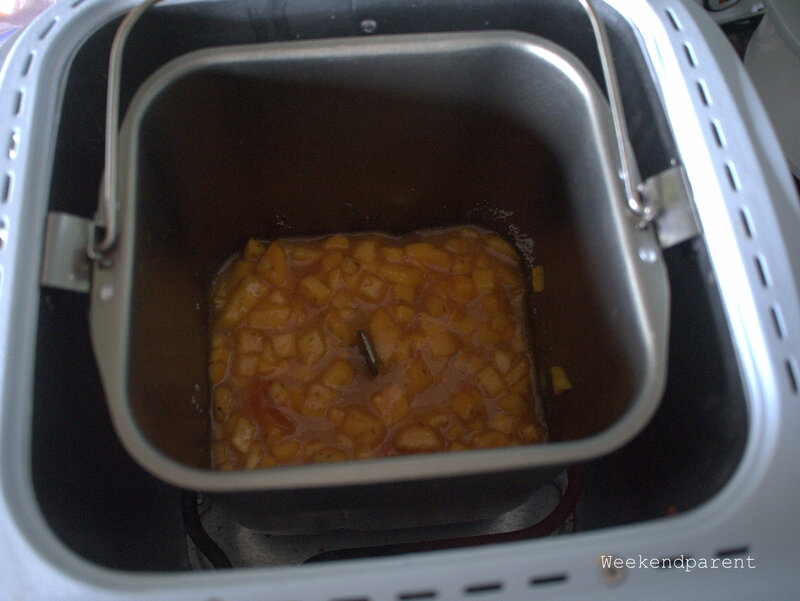 Place the persimmons into a breadmaker, add the sugar and jamsetta. Cook according to your breadmaker setting until finished (my breadmaker takes 1 hour and 20 minutes). Lovely recipe, Serina. Like you, I love persimmons… actually, I’m eating them for breakfast, just sliced. 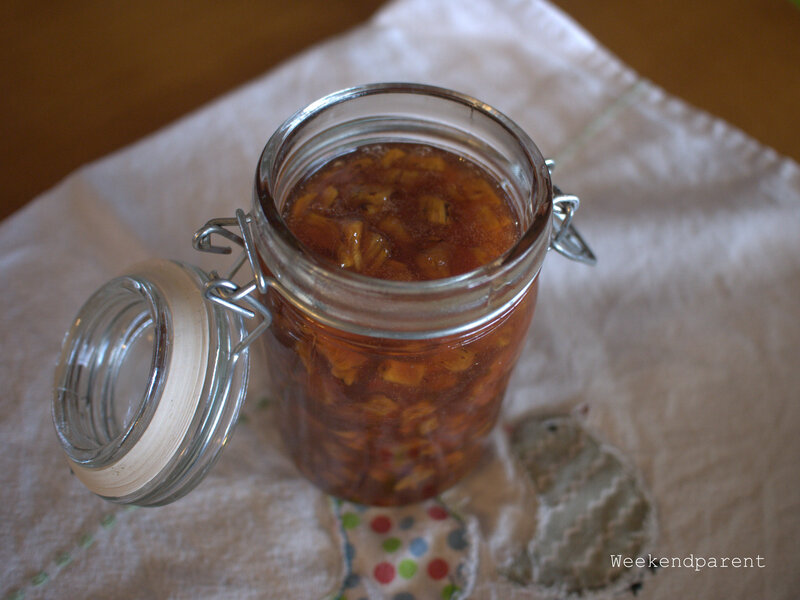 Thanks for sharing your jam recipe. And congratulations on the Living on less than $2 a day. Glad to know I have a fellow persimmon fan. They are lovely, aren’t they? People keep asking me what they taste like: not quite an apple, not quite a mango, not quite a peach. Kind of unique, really. I used to think they were a bit too exotic, too. Not sure why. They are really very easy to eat.